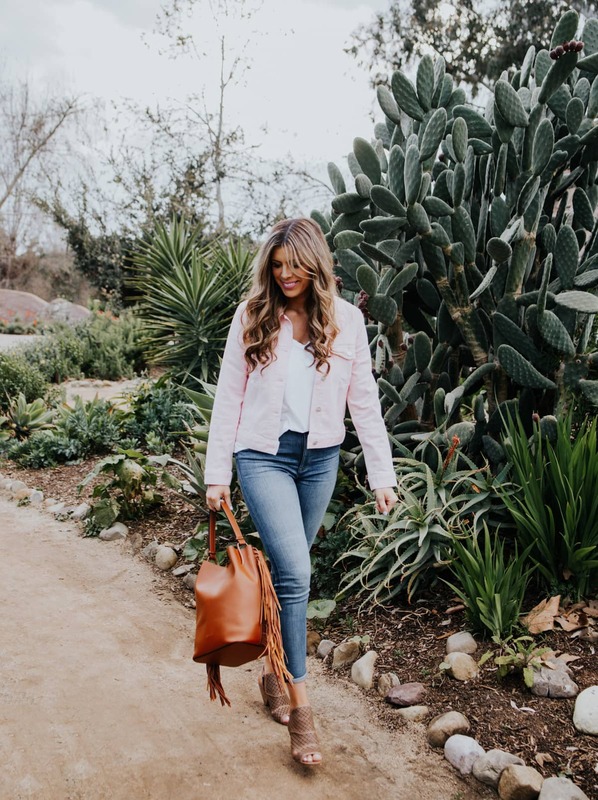 Nothing says Spring has arrived quite like white denim! Everybody seems to have white jeans on the brain these days. 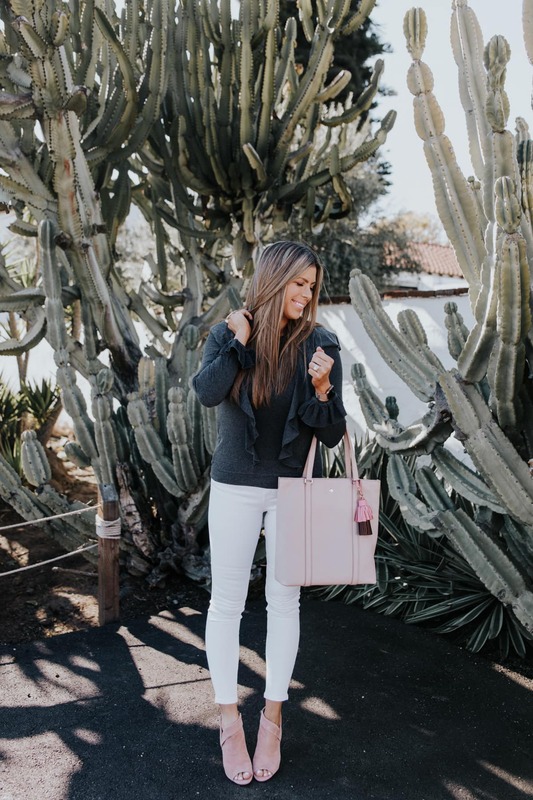 I talked about white jeans in my insta stories a few weeks back and everybody totally freaked, because we all know the perfect white jeans can be very hard to find!! 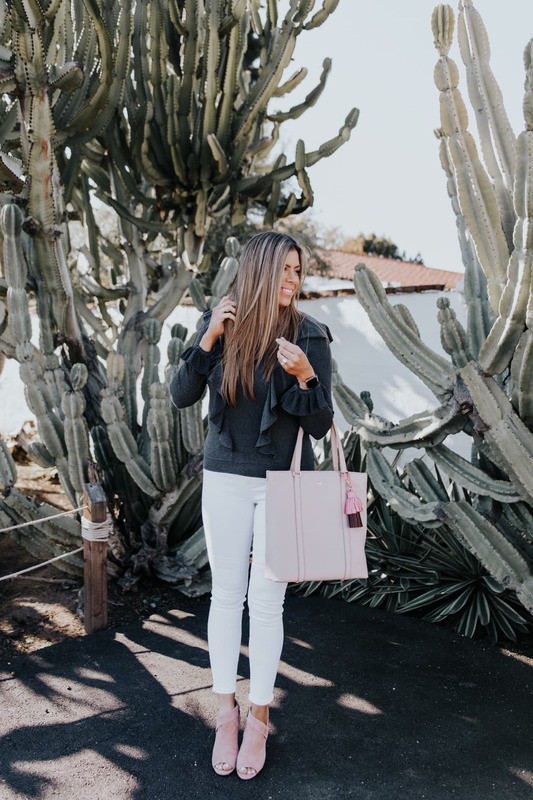 I did an Instagram poll to find out what white jeans YOU all love the most, then I bought them ALL to try on. And now I'm ready to report back on which ones are the very, very best! 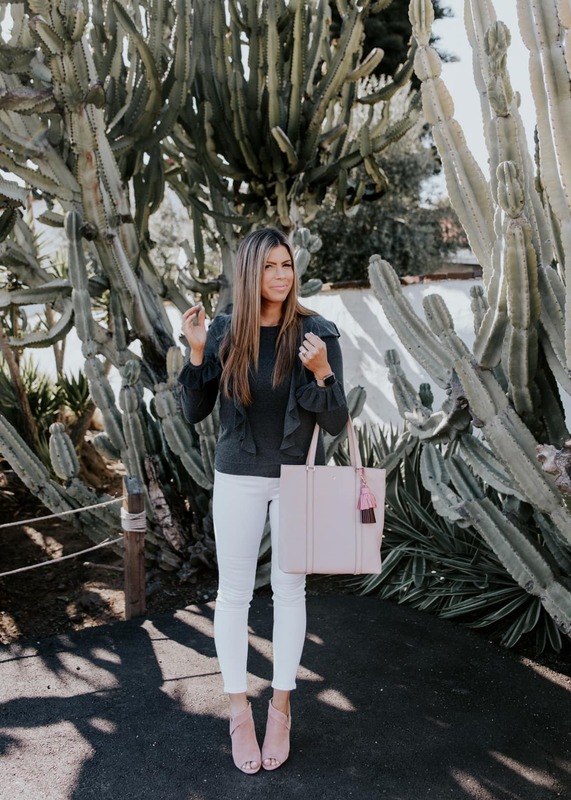 These white skinnies were the clear winner! They're right in the middle of everyone's price point at $70 so they're well under that $100 mark, but also high enough quality that they'll last longer than a cheaper pair of denim that might stretch out after a couple hours. 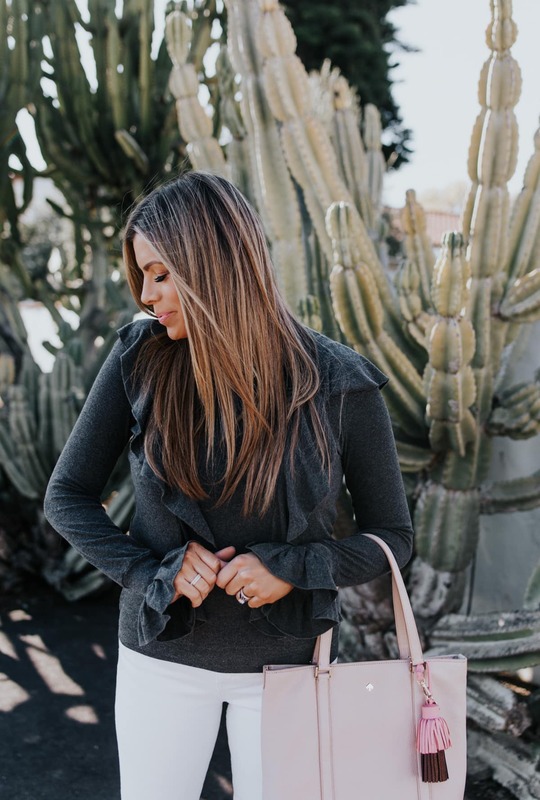 They're that magical combination of super comfortable and super flattering and the length is perfect for warmer spring temperatures! They do run very small though, so size up one size! 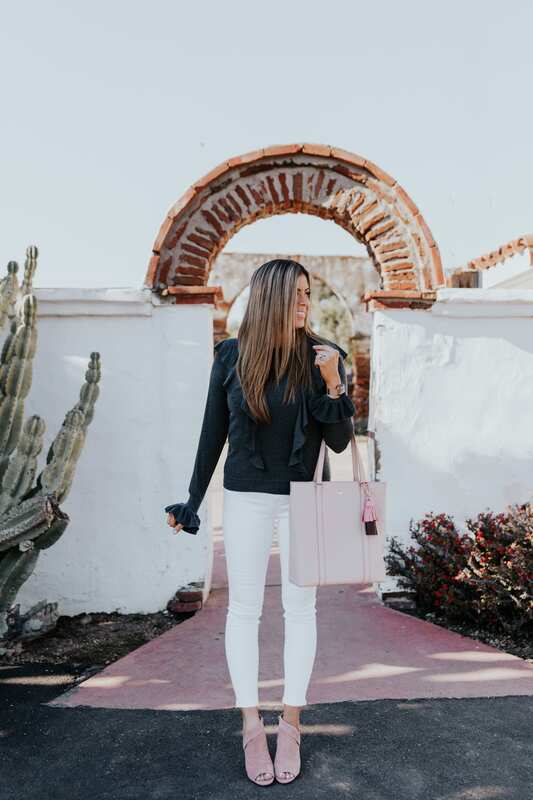 For me, the perfect white jean needs to be skinny down to the ankle, have at least a little bit of stretch, and most of all NOT be see thru! These skinnies check all the boxes! 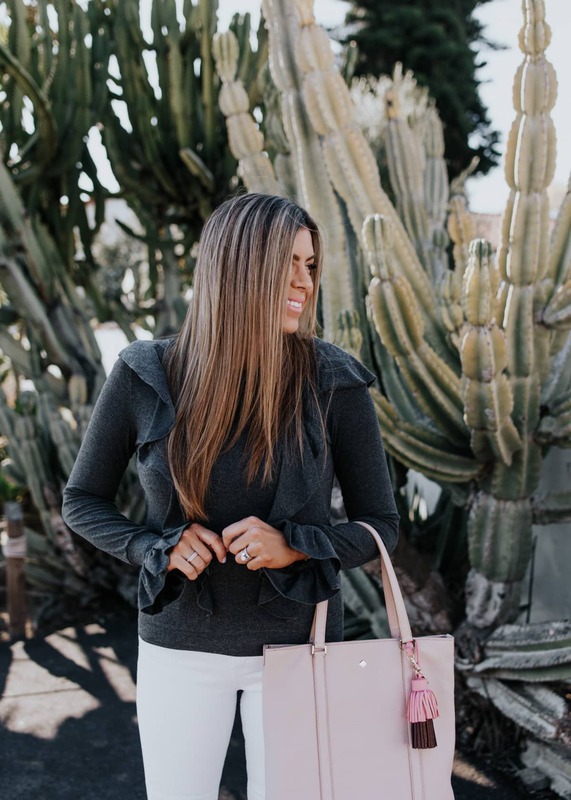 This sweater is super comfortable and cute-the sleeve detailing is to die for! Every time I wear it people comment on it or ask where I got it. 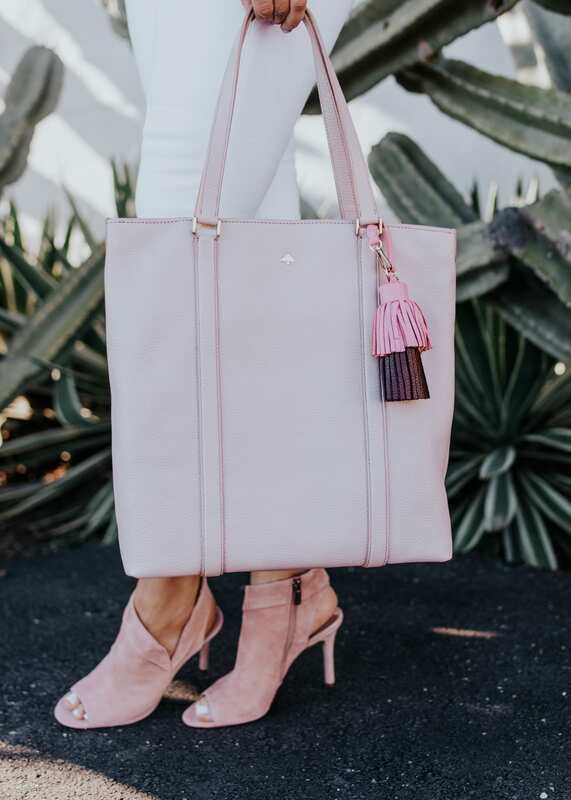 It's only $20 too, so it's super affordable and the perfect addition to your spring wardrobe! 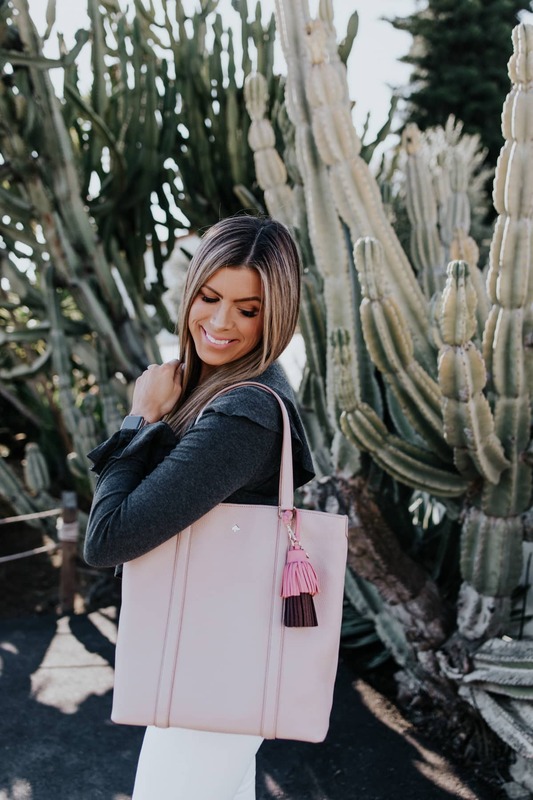 I was so thrilled to see this bag come out in the On Purpose collection that I love so much!! 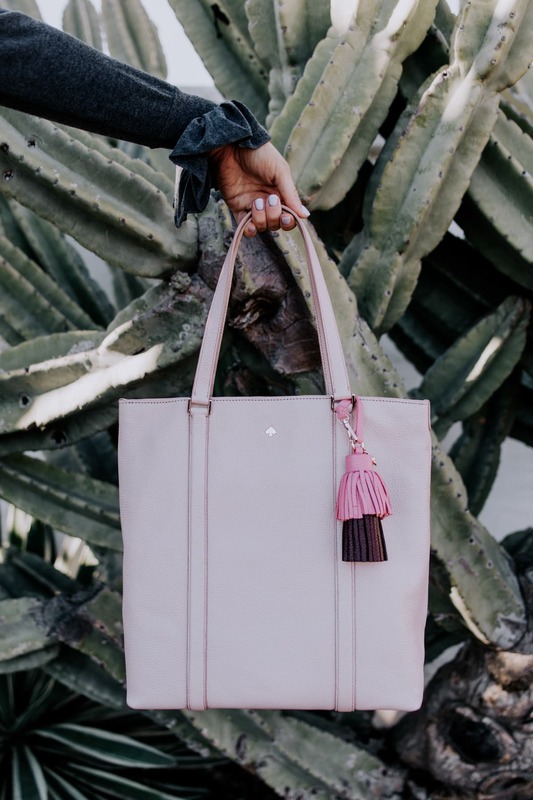 I've traveled to Rwanda and met the women who hand-make these bags, and I love that purchasing them helps provide meaningful work opportunities for women in Rwanda who are supporting their families and buoying an entire community. I'm sure you all know by now how much I love these shoes! 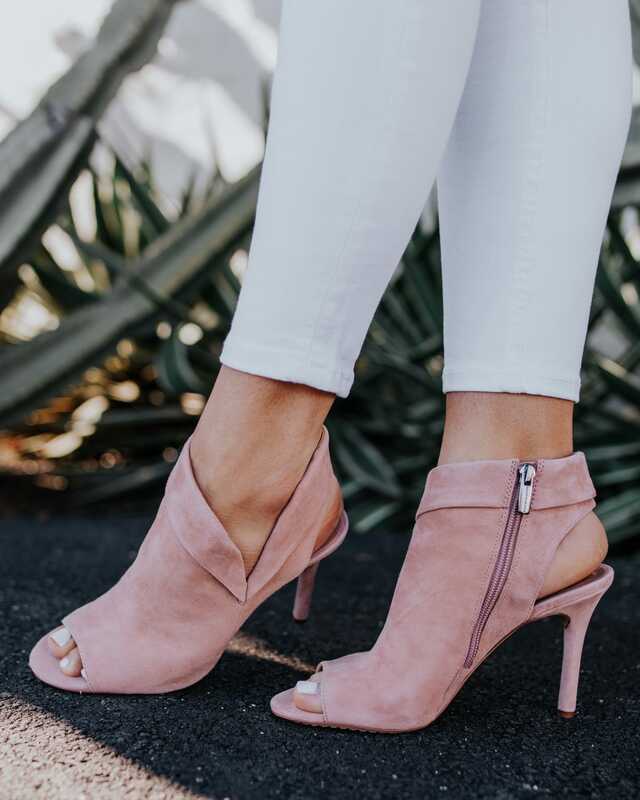 They are so perfect for spring and summer and dress any outfit up! 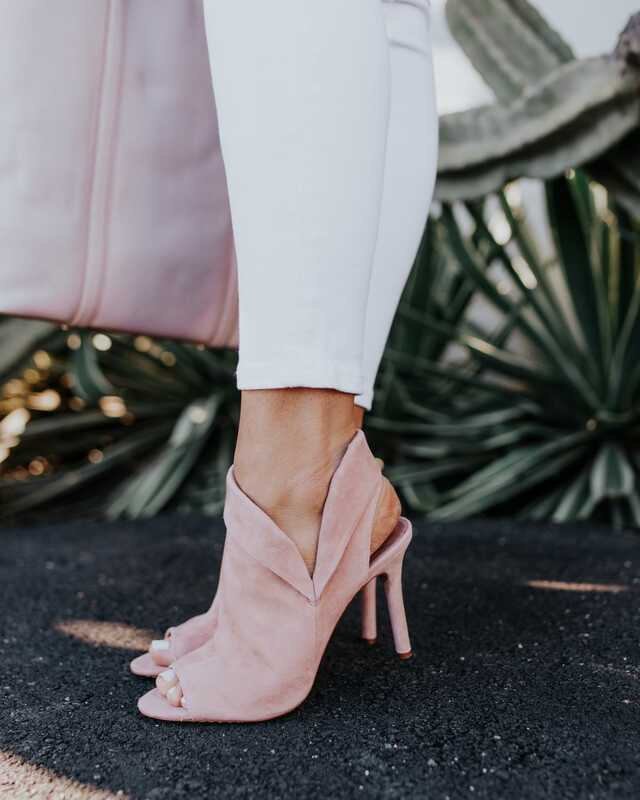 The little peep toe is so darling and I love how comfortable they are and how easy they are to slip in and out of them! 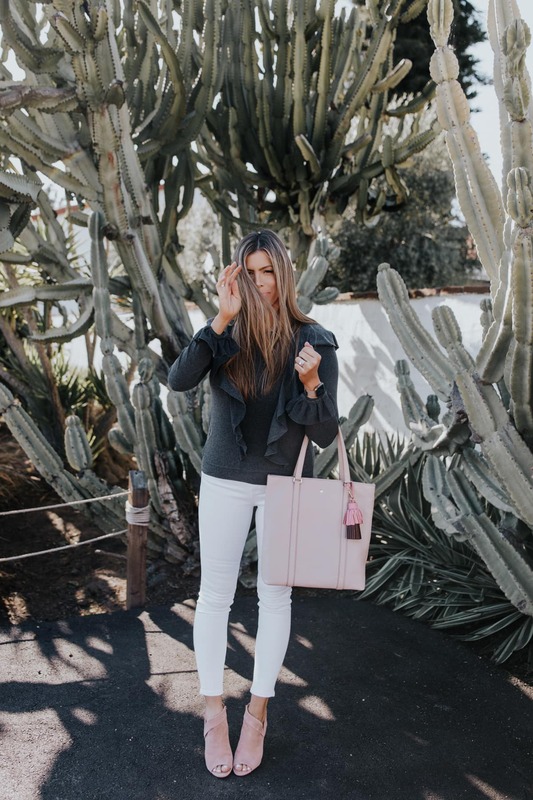 I rounded up all my favorites from the Instagram poll for you to shop below. There honestly wasn't a single pair that I tried that I DIDN'T like, so you can't go wrong with any of these!!! I'll also be doing a try-on session on Instagram stories later today so you can see how they all look and fit so stay tuned for that! 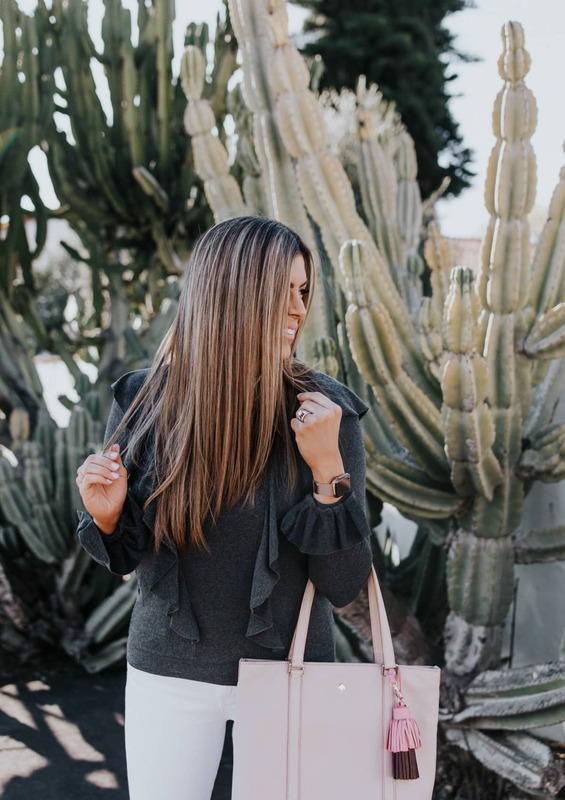 The hottest spring fashion from Macy’s + a sale!